Allison has a problem … while her life looks perfectly perfect on the outside, it’s actually spiralling out of control. There’s the pressure of dealing with her increasingly distant husband, Dave, her extremely volatile, sensitive child, Eloise, and her child-like mother’s inability to cope with her own husband’s (Allison’s father) journey into Dementia. The easiest escape for Allison is her fast-growing relationship with her prescription medication. Originally prescribed for her after for a back pain she experienced after a fall in the gym, Allison finds various ways to feed her growing addition through an efficient system of calling a number of doctors at suitable intervals, to fill new prescriptions for her pills. And when all else fails, she discovers a website where you can order them online, anonymously! In the typical fashion of an addict, Allison assumes she has everything under control and that she is doing a great job of hiding her habit from those close to her. But again, through typical addict behaviour, the facade starts to slip as her behaviour becomes more and more erratic. Her constant need to ‘nap’, coupled with her ‘forgetfulness’ cannot go unnoticed. So we painfully follow Allison through some excruciatingly embarassing rock-bottom episodes, and consequently to rehab and beyond. 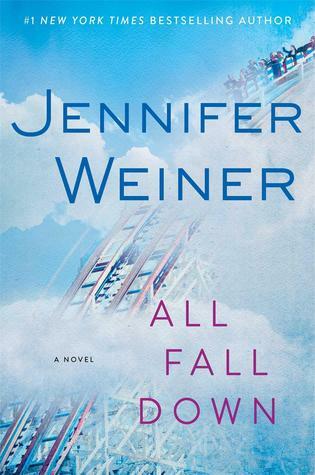 Brutal and honest, Weiner has managed to construct a story so realistic that we will sub-consciously run through everyone we know, looking for signs of addiction, as we realise that addicts are not only the rough-looking, tattooed, typecast sorry lot from the wrong side of the tracks. Addicts can quite easily be the smart-attired executives, or the good-natured, harassed moms we see every day; people who look like you and me!